It has been a long time since I have done some Photo Fiction, but I was just drifting off to sleep the other night and this story just jumped at me, so I had to write it down. Sunday Photo Fiction is a weekly photo fiction challenge where you make up a story with approximately 200 words using the photo provided. If you want to have a go, the challenge runs from 4am GMT Sunday to 4am GMT the following Sunday. You can find the link HERE. Other stories can be found in the little froggy button. 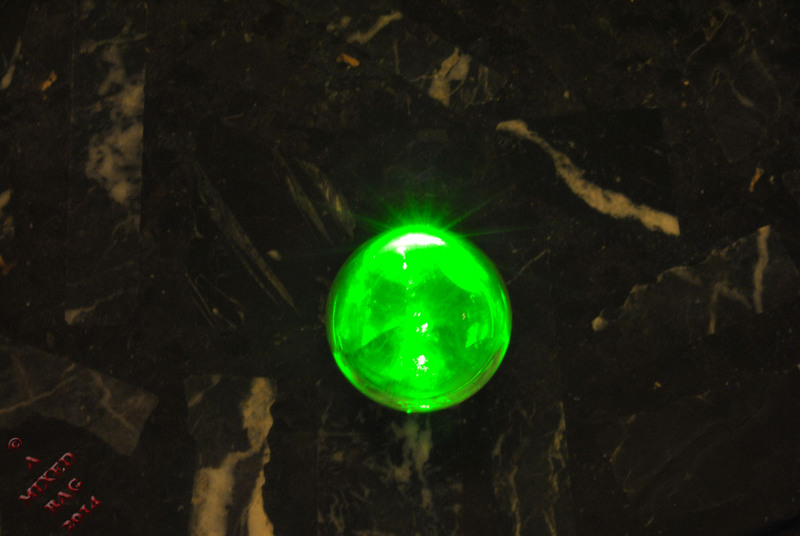 In the old curios shop, Greg picked up a small, green gem and turned it over in his right hand, rolling it with the index finger of his left hand. The shopkeeper smiled at him and said “It is a return gem”. At Greg’s frown, he chuckled. “Apparently it is a lifesaver, it can return someone to life, presumably by holding their essence inside it.” Upon querying the price, of which the old man informed him he would let it go for thirty pounds. Greg bartered him down to twenty, and left with it in his inside jacket pocket. “You brought WHAT? ?” his wife, Vikki, screamed at him. “Of all the stupid things for you to buy. Leave. Now! I have had it with your stupidity, your childishness, and your pathetic excuse for being a human being. I knew I should have married your brother, he’s better in bed than you anyway!” Greg stood there stunned. He always wondered about the way she looked at his brother. In a daze, he opened the front door and stopped. He turned to look at her, and saw only hate and loathing in her eyes. “GET OUT!” she screamed and picked the closest thing to her, a saucepan with boiling water, and threw it at him. He ducked and staggered out the door, falling off the path as he stumbled. He didn’t see the big rig, but he felt it. Briefly. This entry was posted in Flash Fiction and tagged Online Writing, Photo Fiction, September, Short Stories, Short story, Sunday Photo Fiction, Writing Challenge. Bookmark the permalink. There’s so many times I wish I had one, and I could just drop them into someone’s pocket. Brilliant! I love a clever finish like that. Welcome back to the writing, Al! Thanks Eric 🙂 Although I can’t guarantee doing it every week. Raynard is taking precedence at the moment. It not only saved his life but helped him see what type of person his wife is. Pretty amazing gem I would say. Great story!